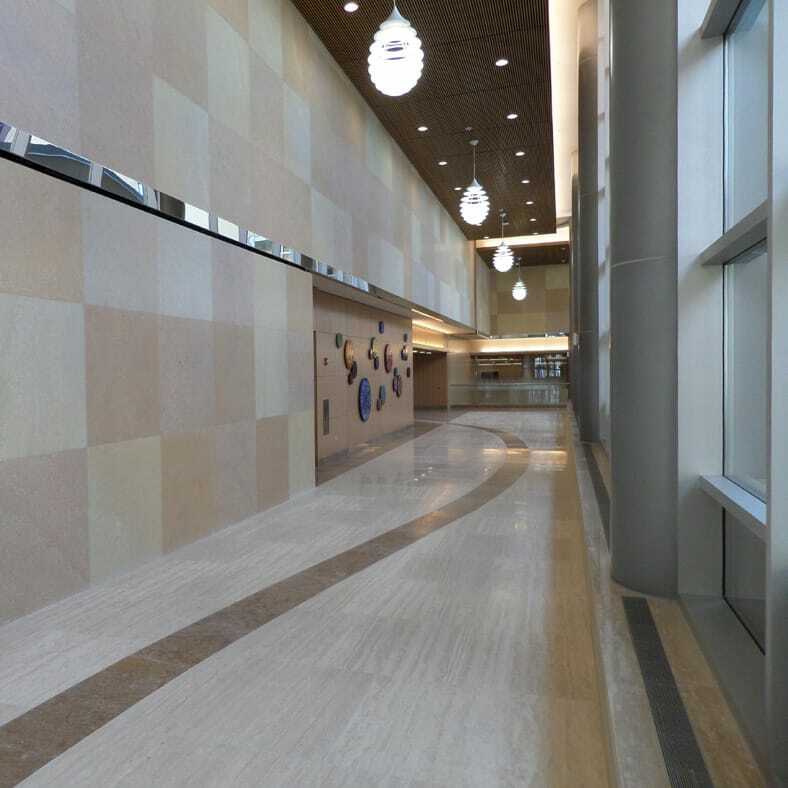 Close coordination with Mayo Clinic and the PTEV allowed a fast track schedule for building readiness and provided early turnover for equipment installation. 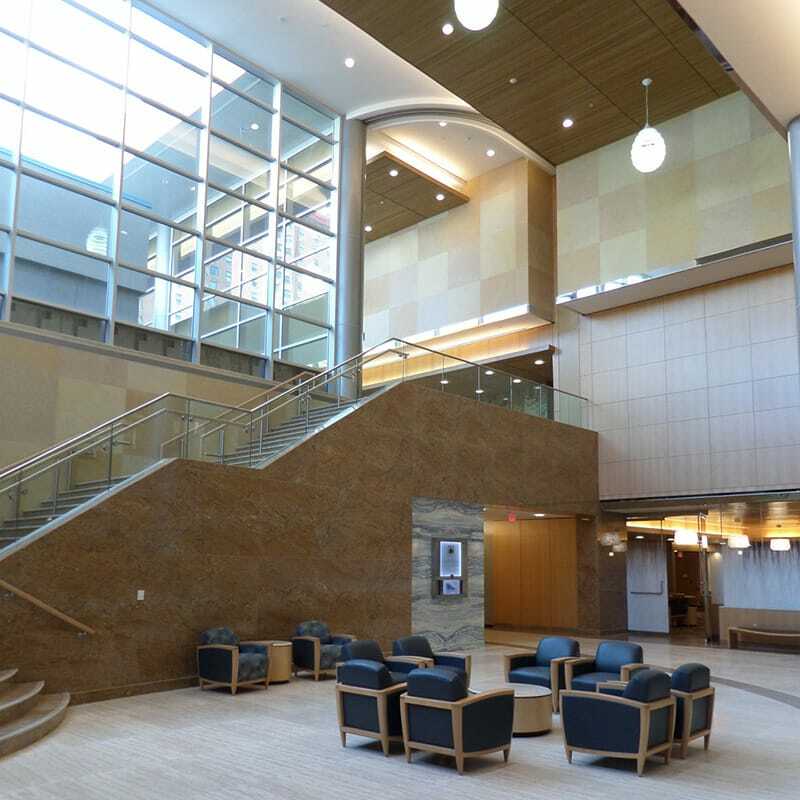 Gilbane | Knutson formed a joint venture for this complex proton treatment facility being built adjacent to imaging and treatment facilities at Mayo Clinic. Designed and constructed to support future tower expansion, the four-story (two levels below-grade and two levels above) houses a fixed proton beam treatment room and four gantries. Getting to patient treatment drove the project schedule. All activities and durations were closely coordinated with the owner’s schedule requirements for commissioning and start-up, to achieve the earliest possible date for treatment of the first patient in the new facility. During preconstruction, Gilbane coordinated with the proton therapy equipment vendor (PTEV) representatives, the owner’s physicists and facilities personnel to build a schedule that incorporated the proton therapy equipment manufacturing and delivery times into the overall schedule as well as their installation, commissioning and start-up activities. Through close coordination with the owner and the PTEV, Gilbane’s collaborative approach led to a unique solution where two machines were turned over at a time, resulting in much earlier patient treatment than if all four gantries were finished at the same time. Gilbane’s building information modeling (BIM) was used to explore the complex concrete schedule, ensuring that form work, rebar, embedded items and the complex geometries of the vaults were accounted for in the schedule. The fast-track schedule required mass excavation drawings to be issued before the foundation design was complete. When the foundation design was issued, it became apparent that the required excavation for the foundations would undermine the shoring at three of the four building elevations. Gilbane worked with the shoring contractor to rapidly propose modifications. Recognizing and addressing the problem early allowed the soldier beams to be drilled deeper rather than requiring a more costly repair detail to be implemented in the later foundation excavation bid package.